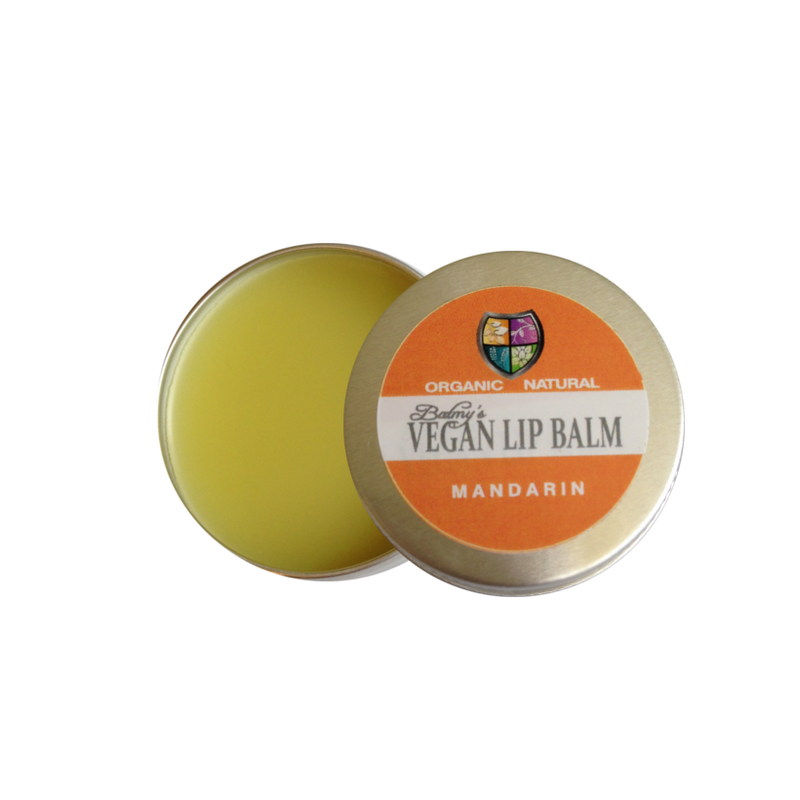 Balmy's vegan lip balm has a base of Candelilla wax and is packed full of the best quality nourishing ingredients to keep your lips soft, smooth and protected against the elements. 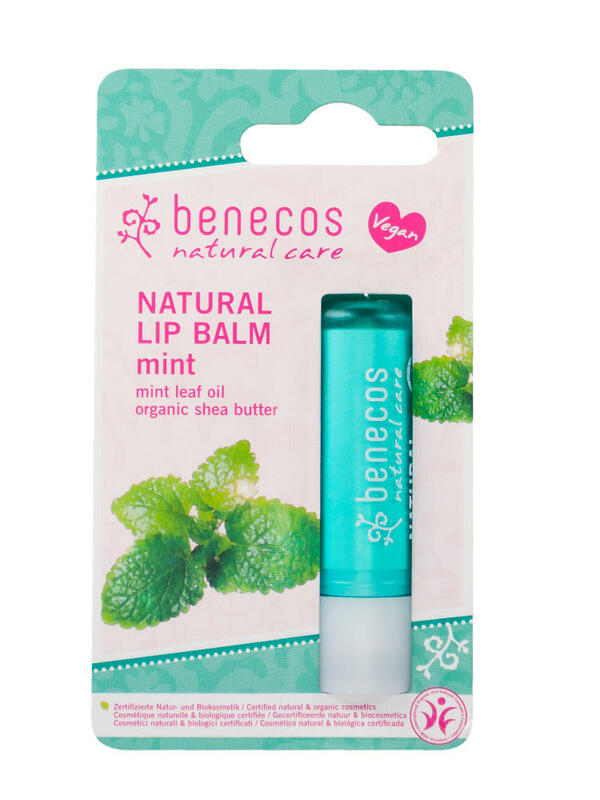 Available in; unscented, fruity mandarin and fresh spearmint flavours. 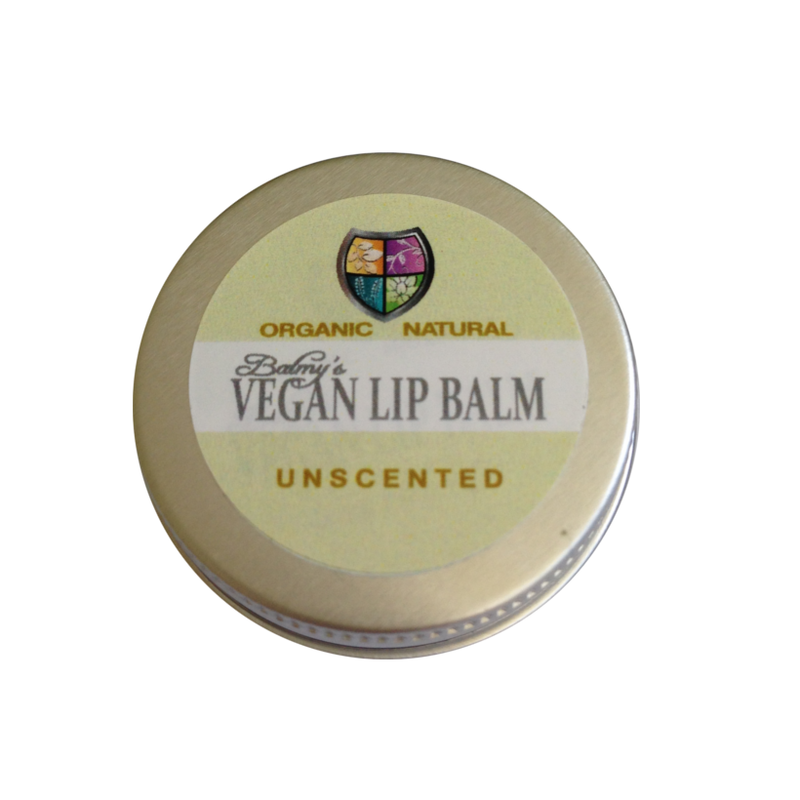 Enriched with luxurious Organic Unrefined Shea and Cocoa butters, Avocado and Jojoba oils. 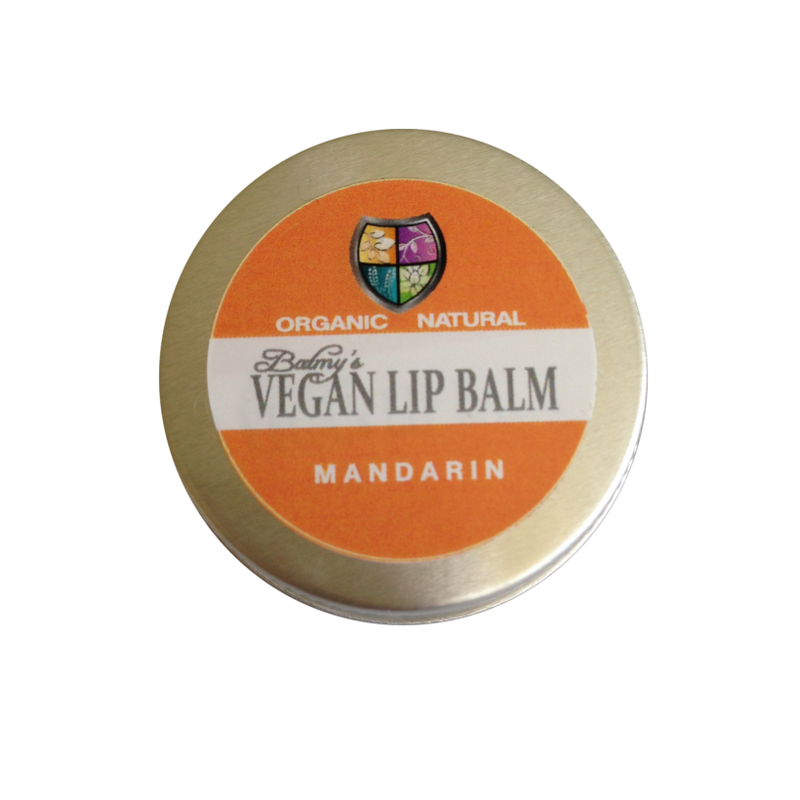 HOW TO USE BALMY'S VEGAN LIP BALM; Apply a small amount and wipe over lips as required. * Olea europea oil, (Olive oil), * Persea grattisma oil, (Avocado oil), * Butyrospermum parkii butter, (unrefined Shea butter), * Theobroma Cacoa Seed butter, (Cocoa butter), Euphorbia cerifcera, ( Candelilla wax), * Simmondsia chinensis oil, (Jojoba oil), Tocopherol, (Vitamin E), * Citrus reticulata, (Mandarin oil). ALLERGENS; Linalool, Limonene. * Olea europea oil (Olive oil), * Persea grattisma oil, (Avocado oil), * Butyrospermum parkii butter, (unrefined Shea butter), * Theobroma Cacoa Seed butter, (Cocoa butter), Euphorbia cerifera, (Candelilla wax), * Simmondsia Chinensis oil, (Jojoba oil), Tocopherol, (Vitamin E), * Mentha spicata, (Spearmint oil). ALLERGENS; Linalool, Limonene. * Olea europea oil (Olive oil), * Persea grattisma oil, (Avocado oil), * Butrospermum parkii butter, (unrefined Shea butter), * Theobroma Cacoa Seed butter, (Cocoa butter), Euphorbia cerifera, (Candelilla wax), * Simmondsia chinensis oil, (Jojoba oil), * Helianthus annus oil, (Sunflower oil), Tocopherol, (Vitamin E). PACKAGING; Fully recyclable aluminium jar. JAR SIZE, SHELF LIFE AND STORAGE; 10ml jar is approx 35mm Diameter x 20mm depth. Store dark & Cool to prolong shelf life. 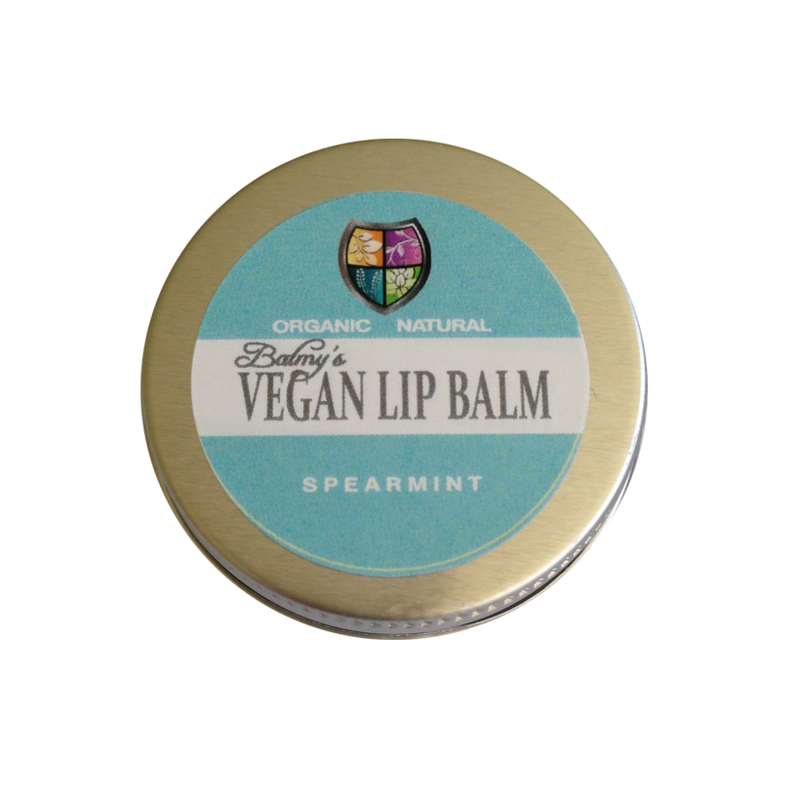 We recommend using within 12 months of opening and by the best before date for optimum benefit. This is a wholely natural product with no preservatives therefore shelf life can vary depending on storage. Should there be any change in aroma or effect discontinue use. Can melt if left in heat.